In early 2015, an Intel® Security survey of incident responders at 700 organizations uncovered the hurdles and opportunities facing investigators of targeted enterprise attacks. 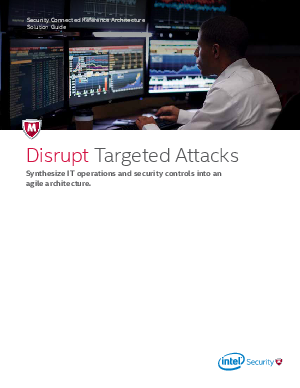 This solution guide highlights the findings, addresses the challenges, and provides several solutions that help unify the Protect, Detect, and Correct stages of managing threats. The goal is to build a comprehensive security model to more efficiently combat targeted attacks.